Informazione prodotto "Novation Launch Control"
The Novation Launch Control was designed to partner with Novation Launchpad and is perfect for hands-on control of your mixer, instruments and effects. 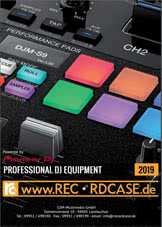 It features 16 knobs and 8 three colour illuminated launch pads, enabling you to transform performances and studio workflow easily. Get hands-on control of devices in Ableton Live and other software to control, fine-tune, tweak, and express yourself in real time. This small controller comes with a suite of software, including Ableton Live Lite and an extensive Loopmasters sample pack. Launch Control works with all major music software on Mac and PC and is fully class-compliant, controlling MIDI-compatible software like Cubase, Reason, Logic and FL Studio with no need for drivers. Unleash awesome performance possibilities! Eight factory and eight user templates allow you to instantly take control of multiple instruments and effects. Use Launch Control's pads to fire off samples while you use the knobs to tweak filters, levels, and effects controls. Compact and sturdy enough to withstand life on the road, it's easy to transport and instantly ready to perform your music. Launch Control connects direct to your iPad with the Apple Camera Connection Kit (not included) and it's powered by the iPad. 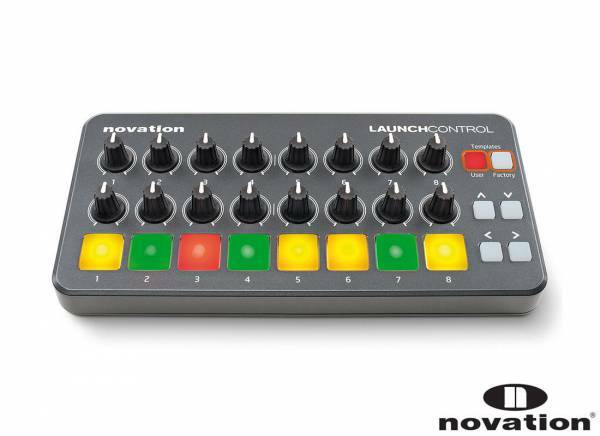 Sii il primo a scrivere una recensione per: "Novation Launch Control"